“Cats are like pieces of art that grace your home and throw up on your laptop but oh how we love them and NOBODY knows the ways of the mysterious feline any better than Pam Johnson-Bennett. 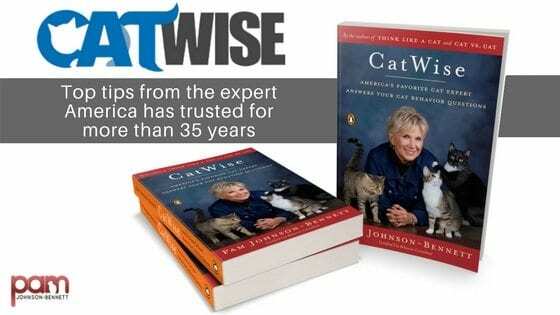 If you are holding this book be prepared to learn more about cats then you ever could have imagined. Seven kitties own my wife, Mary and I right now and we need to learn all we can! Thanks PAM!”–Joseph S. Bonsall, 42-year member of The American Music Group The Oak Ridge Boys, and author of 10 books.